Justifiably, the Amazon region has been at the center of climate change discussions and negotiations since the late 1980s. It is not difficult to explain ‘justifiably’ when one is referring to a region of continental proportions, with unparalleled biological and cultural diversity, and whose biogeochemical cycles and atmospheric circulation processes influence the entire hemisphere and beyond. Few regions have changed so much and so fast as the Amazon, particularly the Brazilian Amazon. Urgency about the Amazonian cause is not an exaggeration! I often use Will Steffen’s concept of the ‘great acceleration’ to illustrate the rate and impact of these changes [see figure 1]. The nature of Amazonian cities is one where pollution and resource provisioning intermingle. But, the nature of Amazonian cities is also one of solidarity and hope. 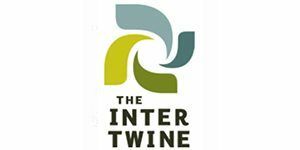 Misguided and destructive development programs, an ingrained view of forests and forest peoples as “unproductive,” and a short-term, extractive mentality intended to feed commodity markets (all with plenty of government incentives) have fragmented and threatened the world’s largest tropical forest. Indigenous and local populations continue to be impacted and transformed, but they have also responded and become major players in territorial governance of the region. Indigenous and sustainable use conservation reserves represent over 40 percent of the Brazilian Amazon today. Yet, depending where one looks, the transformation of the region is just starting. Some estimates indicate plans to build over 330 new dams in the larger basin during the next 25 years. Prospects for expanding mining concessions are equally aggressive, while perspectives to address the region’s most pressing social needs and changing social reality are limited at best. On a positive note, the region received strong attention during recent COP21 negotiations in Paris. There is wide recognition among the international community that the region’s ecosystems and peoples have a central role to play in global efforts to mitigate climate change. There were significant discussions and promises to slow and even halt deforestation, as well as promises and agreements to secure funds for carbon-based mitigation programs, including support for indigenous and local populations, conservation reserves and local municipalities. Kudos to these advances! But, there is one important aspect of the region that has fallen between the cracks of public opinion, climate change conversations and—more broadly—discussions about regional sustainable development and futures. Why are ‘urban’ issues and the predicaments of ‘urban’ populations virtually absent from discussions regarding climate change, sustainable development and the future of the Amazon? As put by Brazilian geographer, Bertha Becker, as of the 1980s, the Amazon was already an “urban forest.” Today, anywhere from 76 to 80 percent of the regional population lives in cities, including an estimated 25 percent of the region’s indigenous peoples. The metropolitan regions of the state capitals of Manaus and Belem have each around 2.5 million habitants. The majority of the population in medium and large cities lives in areas considered “sub-normal” in census terms. The nature of Amazonian cities is not alluring! From “green hell” to “the lungs of the planet” to “God’s paradise,” the historical popular imaginary of the region is obviously not an urban imaginary. When deployed, images of Amazonian cities often invoke the extravagant wealth and architectural features of the capital cities of Belem and Manaus during the rubber boom period (circa 1850 to 1910). The urban continues to be absent during this new phase of regional imaginary, defined by maps of carbon emissions and sinks. The ways we see the Amazon continue to change. We have come a long way in recognizing the role of indigenous and local communities in shouldering the biggest share of responsibility to halt deforestation and to protect standing forests and water sources. The sophistication of deforestation monitoring and carbon-budget estimates, visible during COP21 and elsewhere online, shows important steps and advances coalescing around the protection of forests and carbon stocks in Amazon. Conversely and surprisingly, many, if not most, maps, charts, atlases and tools portraying the regional environment lack or pay minimum attention to the urban face of the region. In some cases, cities—from 760 to 792 of them (depending on where one puts the boundaries of the region)—are completely absent from maps portraying the anthropogenic transformation of the region. Without undermining the relevance and importance of these analyzes, considering the demography and distribution of social conditions in the region, it is puzzling to observe this disconnection. One cannot help but be reminded of the 1970s military government development motto for the region—“a land without people, for people without land”—but in an ironic way: “a land [still presented] without people, for people without carbon.” While the “without people” of the 1970s ignored the thousands of indigenous groups and communities throughout the region, today it ignores 3/4 of the regional population, which is mostly very poor, living in even poorer urban conditions, surrounded by political disregard and hijacked by violence. Figure 2: City centers and population distribution in the Brazilian Amazon. Image: IBGE census data2000- 2010; BF-Deltas Project. Map prepared by Andressa V. Mansur, CASEL, Indiana University. 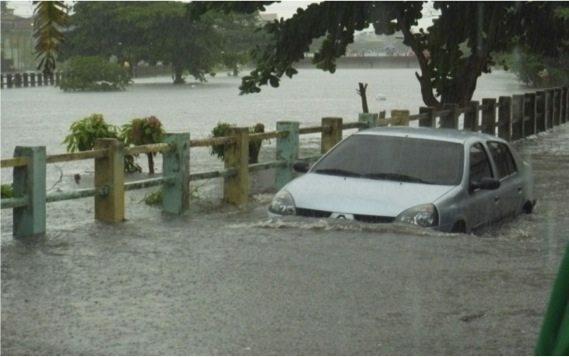 In many ways, this disconnection between the regional urban reality, development needs and environmental discussions, including climate change programs and financing, is not surprising. This is also the case for the urban realities of other parts of Latin America, Africa and Asia. Urban problems, infrastructure deficiencies and social vulnerability in tropical areas, and in developing countries in general, have received scant attention from climate change policies and finances, at least when compared to concerns regarding carbon emissions and sequestration from ‘rural’ activities. The ‘urban’ remains the ‘elephant in the room,’ too messy to be addressed, yet, paradoxically, too easy to be ignored. The majority of Amazonian cities (81 percent) are small (fewer than 20,000 habitants), but 3/4 of the regional population lives in median and large cities [see figure 2]. Most municipalities in the Brazilian Amazon, and thus their ‘cities,’ are ‘young’ (between 30 and 50 years old). Older municipalities tend to be related to river ways, while younger ones have been created along roadways. Irrespective of how one interprets what counts as ‘urban’ or as a ‘city’ in the region, vis-à-vis other regions, and irrespective of age and size, these areas face an ‘urban’ reality common to many other parts of the world: exponential growth and growing population density, mainly very poor constituents with minimum service provision [see figure 3] and mostly informal employment, high levels of prostitution (particularly in larger cities), and even higher levels of violence related to drug trafficking. 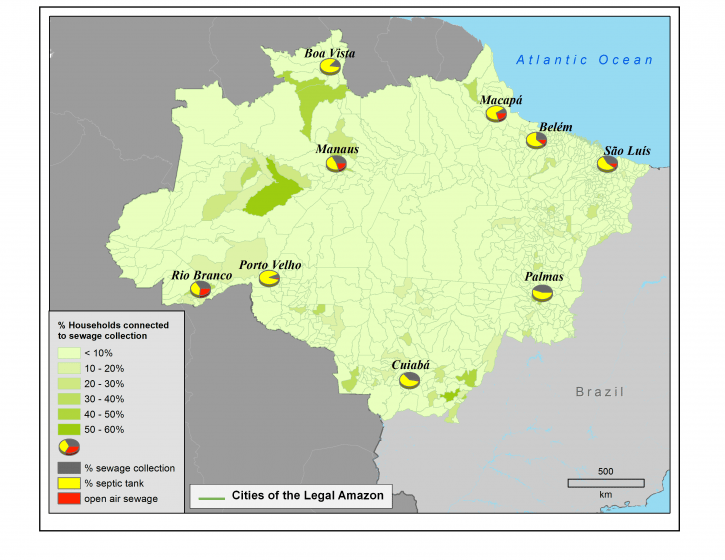 Figure 3: Proportion of households in Amazonian municipalities and state capitals connected to sewage collection. Image: DATASUS 2013; BF-Deltas Project. Map prepared by Andressa V. Mansur, CASEL, Indiana University. The face of Amazonian urbanization can look unmanageable, and perhaps because of that, it is ignored. 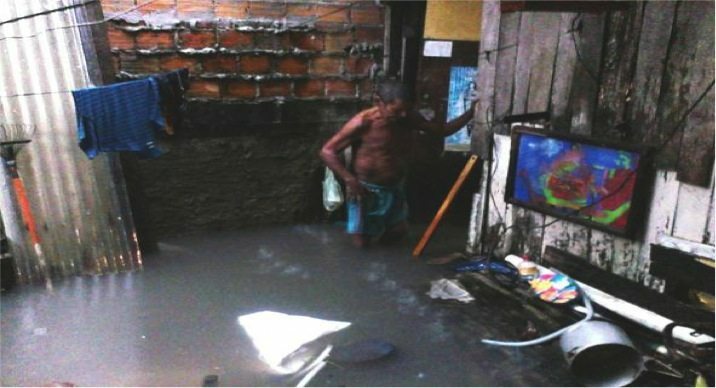 Unable to cope with hyper-accelerated urban growth, the sanitation conditions of urban areas have hardly changed, in many cases, worsened during the past two decades. 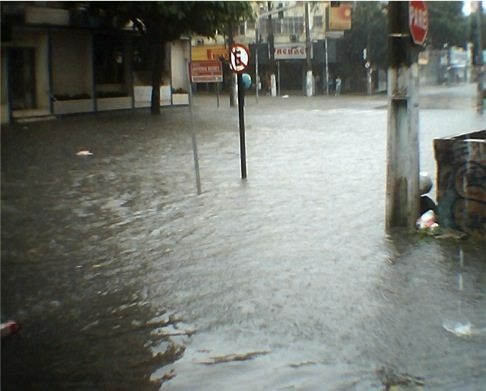 Infrastructural projects in large metropolitan areas such as in Belem and Manaus and others are often not concluded or maintained, increasing problems with flooding and health hazards. Fortunately, provisioning of water and energy has become much better. An analysis developed as part of the BF-Deltas project, focusing on 50 municipalities of the Amazon estuary and delta region, shows that, like the rest of the region [see figure 3], the vast majority of the urban and rural populations are not served by any sewage collection or treatment [see figure 4]. Spatial analysis of delta cities indicates that some form of sewage and garbage collection may be present only in older and historical parts of the region’s larger and older cities [see figures 5 and 6 for examples in Belem and Macapa]. 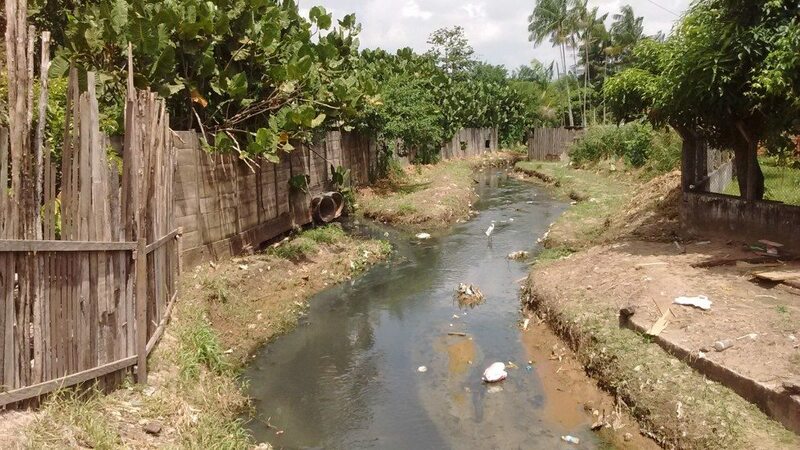 Even though census data may show otherwise, garbage is largely disposed in open-air depositories, street corners, or in drainage channels and river ways. When combined with socioeconomic conditions, housing conditions and location, the majority of urban populations face high (and increasing) levels of vulnerability to flooding and storm surges [see figure 7]. This is the ignored face of climate change vulnerability in the Amazon, one that affects millions of people concentrated in “sub-normal,” lamentable urban conditions. 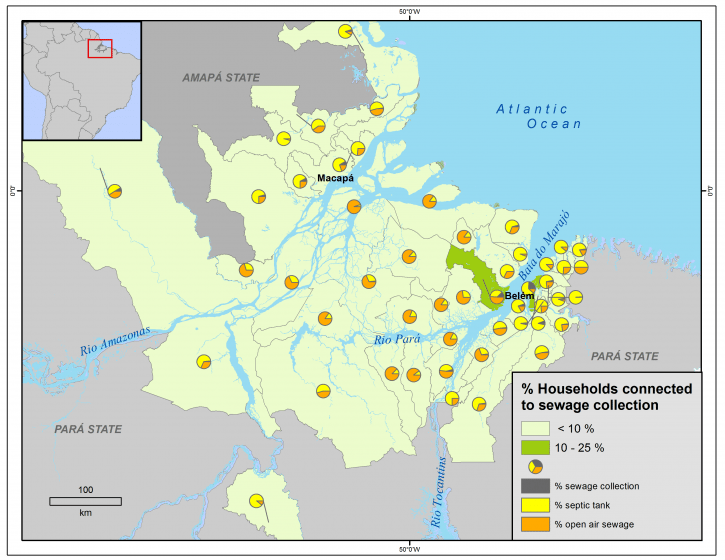 Figure 4: Sewage disposal in the Amazon Delta region. Image: DATASUS 2013; BF-Deltas Project. Map prepared by Andressa V. Mansur, CASEL, Indiana University. 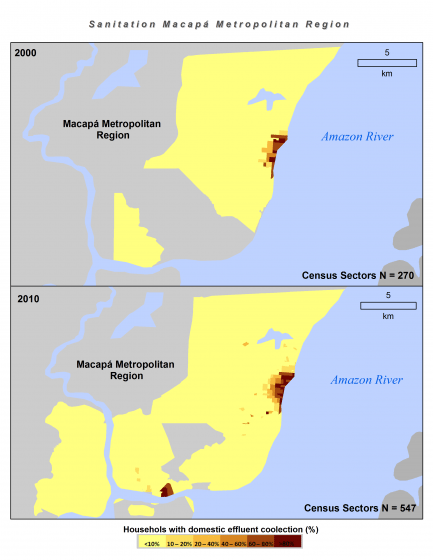 Figure 5: Change in sewage collection in census sectors of two state capitals of the Amazon delta: Belem (Para) [top] and Macapa (Amapa) [bottom]. 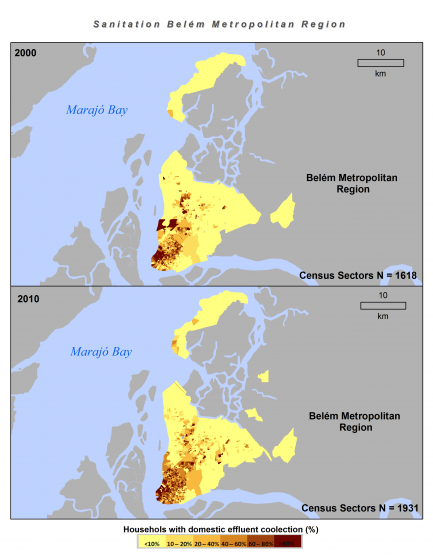 Images: IBGE census data2000- 2010; BF-Deltas Project. Maps prepared by Andressa V. Mansur, CASEL, Indiana University. More challenging yet, the nature of Amazonian cities is violent. Urban areas in the Amazon region have shown the highest increase in urban violence in Brazil, including by far the most significant increase in homicides since 2002. Estimates suggest that close to 37 percent of the urban population in Amazonian cities larger than 50,000 inhabitants live in areas controlled by drug traffickers. A recent report by a Mexican-based NGO [El Consejo Ciudadano para la Seguridad Pública y la Justicia Penal] places the Amazonian capitals of Manaus (23rd), Belem (26th), and Macapa (48th) among the 50 most violent cities in the world (41 of which are in Latin America). While figures are hard to come by, larger cities in the region have some of the highest rates of youth prostitution in Brazil. When observed from the perspective of families, the Amazon region is indeed a ‘rural-urban continuum.’ Family networks shape the urban and rural landscapes of the region, supporting intense patterns of circulation and exchanges across short and long distances. These networks allow people to maintain some level of access to urban services as well as access to rural resources and livelihood opportunities. More than half of the population in a substantial number of municipalities depends on government conditional cash transfer programs, which must be collected in urban centers. This arrangement has further attracted people to the surroundings of urban areas during the past decade, strengthening connections between ‘rural’ areas and cities. While this reality is widespread, it is still evolving. Over 27 years ago, when I started to do fieldwork in the region (Amazon estuary-delta, the Transamazon, and other parts), transportation posed concrete limitations to mobility and circulation choices. Today, in many parts of the region, transportation is conditioned by seasonal changes (rainfall and flooding still rule), but it has greatly improved. The same is true for communication and access to energy, the Internet and a broad array of national and global media. Differences between urban and rural lifestyles are becoming less significant, but the city increasingly lures the rural youth, including indigenous youth. It is not only access to services, education and economic opportunities that have attracted people to urban areas. No matter where or how poor or how violent a city locale, for many residents, a house in the city provides security—or at least a sense of security—from the uncertainties of rural life. The vast shantytowns (a term often avoided in the region in favor of more euphemistic ones) of Amazonian capitals or the mushrooming peripheries of medium and small towns are populated by families—who either lacked land rights or were ‘abandoned’ without infrastructure or social services in agrarian colonization settlements and indigenous areas—or people who otherwise completely lack opportunities to make a living and feed a family. Depending on the season, Amazonian forests and rivers can be plentiful or scarce. Having a place in the city represents having ownership of a roof, as well as access to schools, informal work opportunities, economic niches and social activities that give a sense of access to modernity, whatever people imagine modernity to be. 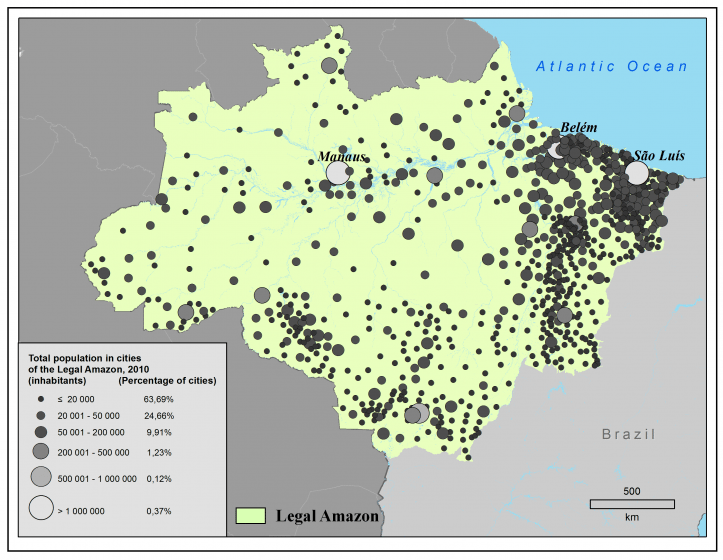 The fast urban growth of Amazonian cities is also a result of the changing expectations of Amazonians, particularly the youth, and increasingly the indigenous youth. As in other parts of the world, the region is experiencing its own ‘de-agrarianization’ process, changing forms of livelihood and social identities away from the peasantry (but not necessarily from indigenous identity). Much like in other parts of the world, moving to a city opens up opportunities for those previously trapped in sharecropping and indentured servitude, demeaned social identities, kinship obligations, and/or perverse gender relations. As bad as living over open sewage, surrounded by violence can be, cities are still places of opportunity, and offer no shortage of festivities. The nature of Amazonian cities is one where pollution and resource provisioning intermingle, whether one fishes at the confluence of a sewage stream or wades polluted channels to access a palm tree bearing fruits. Pollution and garbage, even extreme amounts of it, are largely ignored, both by residents and decision-makers. The illusion that the mighty Amazon and its tributaries can absorb and dissolve almost all of the sewage and industrial pollution generated in the region offers a convenient excuse for not dealing with the problem. The Amazon is often referred to as the land of NGOs and social movements. But very little attention is given to the predicaments of cities. While there is increasing mobilization related to housing rights, few organizations and social movements are concerned with environmental conditions in urban areas. The few heroes trying to advance the cause of urban ‘environmental violence’ face risks and threats. 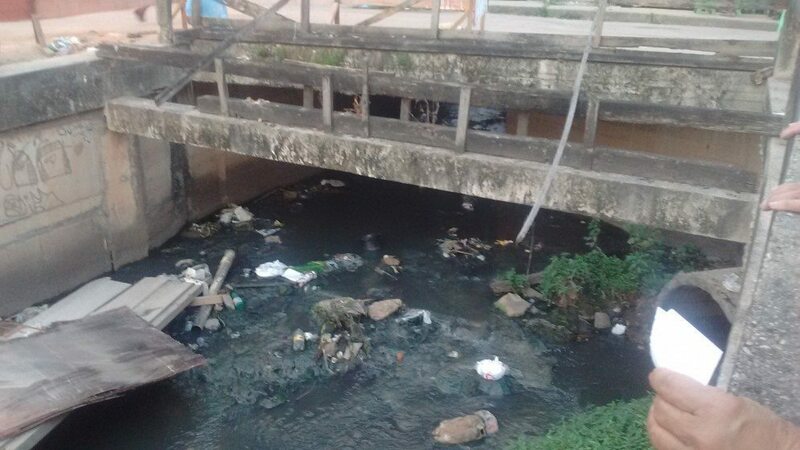 The sense that sewage and garbage pollution are secondary or ignored issues is mind boggling considering their implications for well-being and health of the largest portion of the Amazonian population. It is important to remember that behind this reality are deeper structural issues. Most municipalities are insolvent and depend on transfers from the federal government. They are in perpetual deficiency when it comes to providing services for urban growth so accelerated that it can change the face of a city from year to year, or even from month to month. 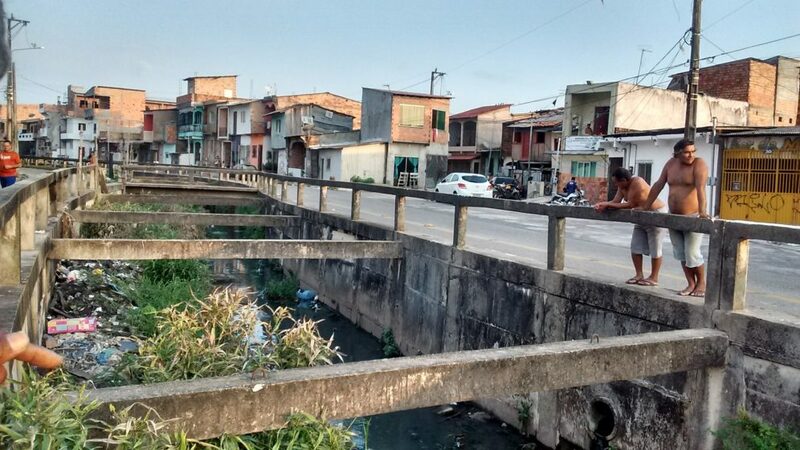 Many Amazonian municipalities struggling with deteriorating urban conditions witness strong, billion-dollar resource economies from agriculture, mining, forest products and fishing, and yet are not able to harness even the tiniest share of rent and taxes. Corruption is another problem, but it is too complex to fit in this essay. The take home point here is that municipal economies, and thus the economies of cities, are largely disconnected from resource economies of the region (including an increasing carbon economy), and are entangled in a historical, structural trap. But, the nature of Amazonian cities is also one of solidarity and hope. I hardly remember listening about complains from the many migrants and urban residents I have worked with over the years. Regrets about lack of services, disregard and violence often give way to remarks about opportunities, popular culture and the privilege of owning a house. Family and kinship networks extend support to vast areas. There is never a closed door to a kin member in Amazonian houses. Fishes, fruits, shrimp, manioc flour and occasional bushmeat circulate widely. It is a society of reciprocity and reciprocity obligations. This explains, in part, the high density of urban areas, where multiple families share space layered with compartments and hammocks. There are many faces of the nature of Amazonian cities that are bright and lifting, and I intend to focus on these aspects for my next essay. Here, my intention is not to perpetuate a sense of pessimism, but to recognize the urban as the ‘elephant in the room’ in sustainability and climate change discussions about the region. The face of urban conditions in the Amazon is the face of sustainability challenges and climate change vulnerability that we have not addressed, at least enough. This puts the question of climate change mitigation financing in a different perspective. While most attention seems to go to who would be paying for ‘it,’ less attention is focused on where and to what purpose these funds should be used. This is the underlying challenge of aligning climate change mitigation and the newly agreed Sustainable Development Goals. 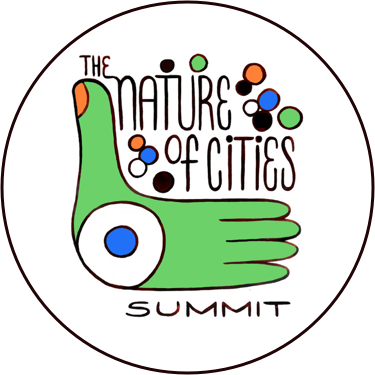 I recently argued (at the Global Landscape Forum happening in parallel to COP21) that the sustainability of the Amazon as a region is and will be shaped by its evolving urban networks and forms of urban growth—in other words, by the nature, the networks of its cities. Amazonian cities are shaping the flows of people and resources and the conditions of local and regional ecosystems, and will continue to shape the region’s landscape in the next 20 years and beyond. As is the case for most of Latin America, the most pressing and difficult sustainability challenge for the Amazon is to mobilize resources, visions, technology and political support to transform the nature of its cities. Special thanks to Andressa V. Mansur for preparing the maps presented above and to José Alexandre de Jesus Costa, resident of Belem, and members of the “Frente dos Moradores Prejudicados da Bacia do Una” [an organization of harmed residents in the Una River watershed] for providing photographs. Belmont Forum Deltas project: Catalyzing action towards sustainability of deltaic systems with an integrated modeling framework for risk assessment (BF-DELTAS). Support from the Belmont Forum funding agency to 24 collaborating international institutions. The US National Science foundation has funded research conducted by the author and colleagues at Indiana University (NSF # 1342898). Brondizio, E. S., N. Vogt, and A. Siqueira 2013. Forest Resources, City Services: Globalization, Household Networks, and Urbanization in the Amazon estuary. In K. Morrison, S. Hetch, and C. Padoch (eds). The Social Life of Forests. Chicago, IL: The University of Chicago Press. Pp. 348-361. Brondizio, E. S. 2011. Forest Resources, Family Networks and the Municipal Disconnect: Examining Recurrent Underdevelopment in the Amazon Estuary. In M. Pinedo-Vasquez, M., M. Ruffino, C. Padoch,. E. S. Brondizio (eds.) The Amazon Várzea: the decade past and the decade ahead. Dordrecht, The Netherlands: Springer Publishers. Pg. 207-232. Costa, S. M. and E. S. Brondizio. 2009 Inter-Urban Dependency among Amazonian Cities: Urban Growth, Infrastructure Deficiencies, and Socio-Demographic Networks. REDES (Brazil) 14(3): 211– 234. Eloy, L., E. S. Brondizio, and R. Pateo. 2014. New perspectives on mobility, urbanisation, and resource management in Amazônia. Bolletim of Latin American Research (BLAR). 2014: 1-16 DOI:10.1111/blar.12267. Waiselfisz, J. J. 2015. Mapa da Violencia 2015. http://www.mapadaviolencia.org.br/pdf2015/mapaViolencia2015.pdf. 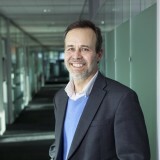 Eduardo S. Brondizio, Professor of Anthropology at Indiana University Bloomington, is a Science Committee member of Future Earth and co-Editor-in-Chief of Current Opinions in Environmental Sustainability. manutenção técnica dos diversos Canais, como exemplo o Canal do Galo e da Visconde de Inhaúma no bairro da Pedreira.